Piano Acc.. Arranged by Various. 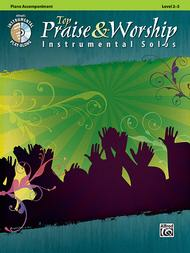 Instrumental Series; Other Church; Play-Along; SmartMusic; Worship Resources. Top Hits Instrumental Solos Series. Contemporary Christian; Sacred. Book; CD. 68 pages. Alfred Music #00-34243. Published by Alfred Music (AP.34243). 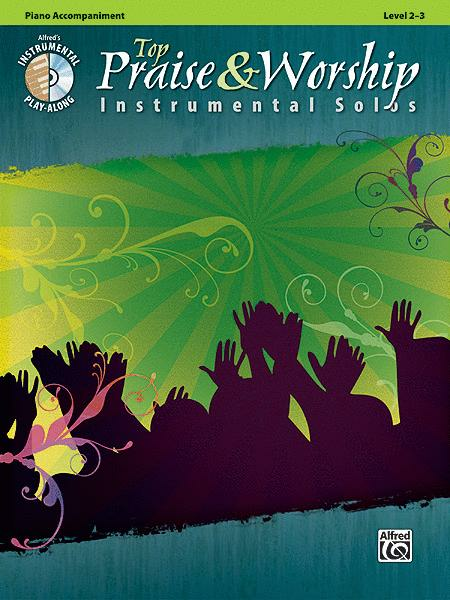 This collection includes specially arranged Instrumental solos of the most popular Praise and Worship music sung around the world. Arranged specifically for the Level 2-3 player, each book comes with a play-along CD that includes a backing and performance track for each title. This is the optional piano accompaniment book that is for use with the wind instrument books. This title is available in SmartMusic. Titles: Everlasting God * Beautiful One * Blessed Be Your Name * God of Wonders * The Wonderful Cross * Here I Am to Worship (Light of the World) * You Are My All In All * Holy Is the Lord * How Great Is Our God * Indescribable * Jesus Messiah * Lord I Lift Your Name on High * Marvelous Light.